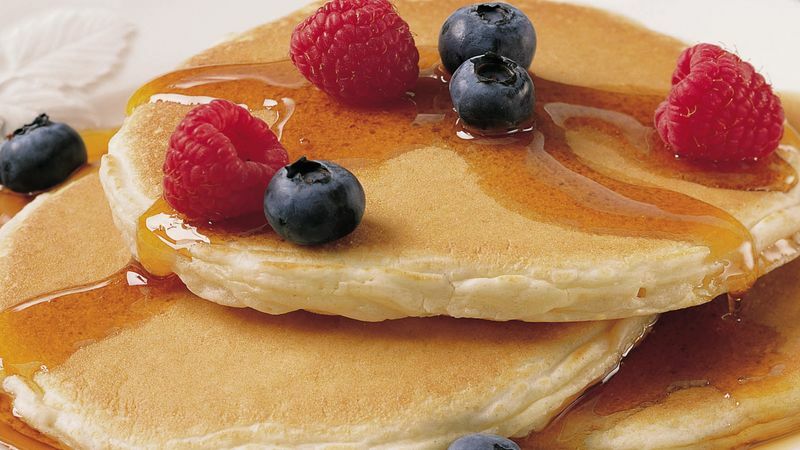 When you want a special breakfast for two, stir 1/2 cup berries into the batter and top pancakes with whipped cream. Using a soup ladle to pour batter onto the griddle makes for less mess! For uniformly shaped pancakes, pour the batter from an ice-cream scoop or 1/4 cup measure.